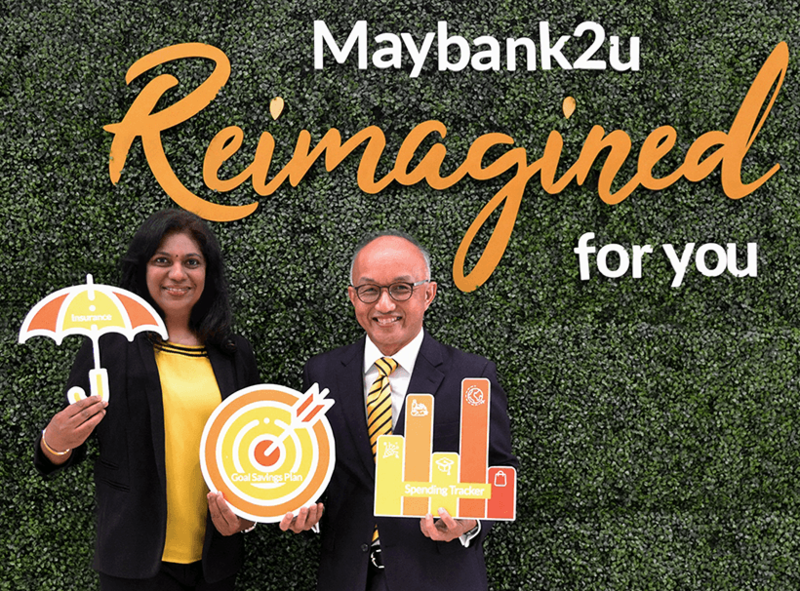 Financial planning at your fingertips: L-R : Kalyani, Head Virtual Banking & Payments Maybank and Dato’ John Chong, Group CEO, Community Financial Services Maybank showcasing Maybank’s latest digital financial planner features launched on its new M2U. KUALA LUMPUR (Sept 12): Malayan Banking Bhd (Maybank) has introduced new digital financial planning tools on its Maybank2u website to help customers plan their savings, monitor their insurance and keep up-to-date on their financial goals. These features — the first of their kind by a bank in Malaysia — are set to further enhance customers’ experience and ability to plan their future. The bank currently has more than 10.9 million registered users accessing the Maybank2u platform via the mobile, tablet and website applications. This follows a Malaysian Financial Planning Council research that showed about 40% of Malaysians do not plan ahead, financially. In a statement today, Maybank said the financial planning tools include a goal savings plan, spending tracker and an insurance dashboard. The goal savings plan feature allows customers to segment their money into "goals" without having to create separate accounts. Customers can create up to five goals and set a fixed monthly contribution. "Once a goal is created, the prescribed amount will be debited from their principal account and credited into their goal savings account(s), based on the duration opted for. All amounts placed in the goal savings account(s) will enjoy the applicable interest. "Customers can at any time top up their goal savings plan, should they wish to fast track the goal achievement or save more than the desired amount," Maybank said. The spending tracker feature allows customers to track spending from their debit and credit card. This feature will allow them to have an overview on where they spent the most, helping them to manage and control their expenditure. The insurance dashboard, meanwhile, allows customers to view their purchased Etiqa Takaful Life and General Insurance policies in a single dashboard. This gives them an overview of their protection plans. They can also purchase insurance and investment plans from Etiqa seamlessly via Maybank2u. Maybank group chief executive officer of community financial services Datuk John Chong said the introduction of the new features are a natural extension of its commitment in creating services that put its customers’ needs first. “The financial planning tools aim to help customers visualise where they are financially; giving them valuable data of their spending at a glance. These smart features enable them to make informed decision on how they can manage their funds efficiently, so they are able to plan and prepare for a better future by fulfilling their dream goals. “Since the pilot launch of the goal savings plan last month, we have seen over 4,500 goals created with over RM31.5 million targeted to be saved. We forecast that the numbers will increase by 100% by year end,” Chong added. To complement the launch of these new features, Maybank has introduced the Double Up Your Savings campaign to encourage the habit of saving among customers. The campaign will end on Feb 28, 2019. To participate, customers will need to save up a minimum of RM200 in their goal savings plan for a minimum of three consecutive months during the campaign period, to be in the running to win cash prizes worth RM120,000 which is in a form of a bonus payout. A total of 120 winners will be awarded from this campaign. Customers are able to create their goal savings plan for up to six months during the campaign period. However, they must create a goal latest by Nov 28, allowing them to save for a period of a minimum of three months to be eligible for the campaign. They are able to create up to five goals, and only the goal savings plan with the highest amount will be selected if the customer wins the campaign, Maybank said. “We want to help our customers control their money and spend it on things that really matter the most to them. The campaign, as well as the new features, do just that and will help keep our customers’ money in one place and also give them intuitive tools to help organise and protect their money, motivating them to reach their goals,” Chong said. “The new digital features are about enriching our offerings through digital banking, which is in line with our commitment to leverage on cutting edge technology, as well as our strategic objective of being the digital bank of choice,” he added.